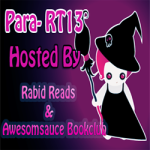 Amber I. from Awesomesauce Book Club and I have been stalking paranormal authors that will be attending the RT Booklovers Convention in Kansas City on May 1-5. 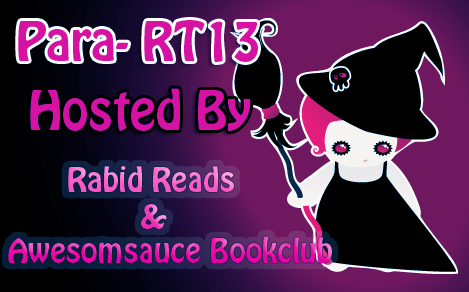 We’ll both be there in all of our book nerd glory so we decided to do a bloggy event to get psyched up even more for the convention! 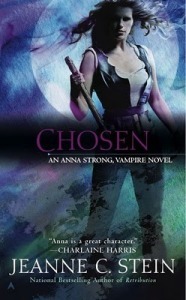 Today I’m chatting with Jeanne C. Stein author of the Anna Strong Vampire Chronicles. Is this your first RT convention? What are you most looking forward to at RT? 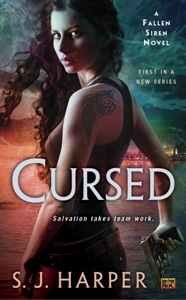 Jeanne C. Stein is an American Urban Fantasy author living in Colorado. She now lives in Colorado, but was raised and educated in San Diego, which is the setting for her contemporary vampire fantasy. 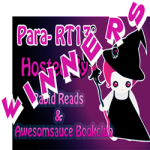 Jeanne is active in the writing community, belonging to Sisters in Crime both nationally and in San Diego and Los Angeles. 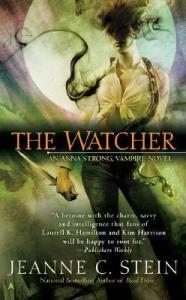 She also belongs to Horror Writers of America, RWA and Rocky Mountain Fiction Writers. 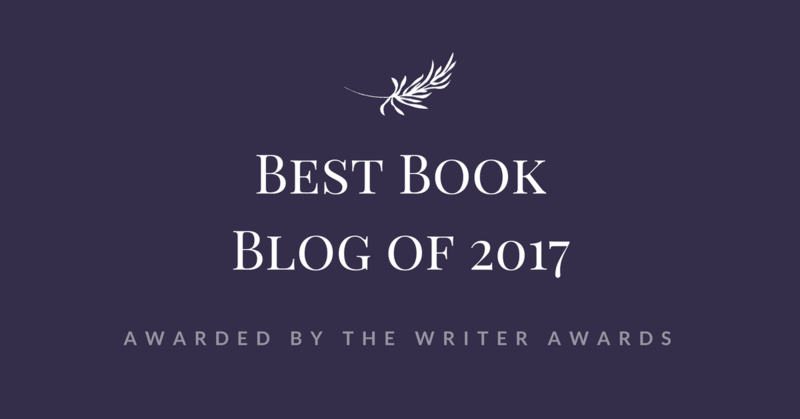 She was named RMFW’s Writer of the Year for 2008 an honor given to a writer who has contributed to the organization as well as achieved success in publication. [quote] I let my eyes drift to the world outside our car. We are traveling the main road out of Lourges—to the west instead of the route traveled last night. Up into the gentle hills that surround the village. In the lingering twilight, we pass several side roads that end in huge houses perched like jewels on manicured lots. Suddenly, an icy finger touches the back of my neck and I shiver. I turn my face away. Glad once again that he can’t read my thoughts; carefully locking those thoughts away from Chael’s prying mind. Because it is something. This night reminds me of another night, almost two years ago. A ride up another hill in another part of the world that ended in a fight for the death against an old soul vampire. Instinctively, my hand touches the hem of my dress. I was wearing Avery’s gift that night. Just as I’m wearing Steffan’s now. I was driven to the house then just as I’m being driven now. My throat is dry. I have the terrible feeling I shouldn’t have accepted Steffan’s invitation. Worse, I shouldn’t have brought Frey along. I may have read too much into Chael’s show of good will, his compassion for my mother. Was it all just a trick to win my confidence? Blood pounds through my veins, heat rising as the vampire seizes control. Chael senses a change, too. He can’t see me in the mirror, but he is acutely aware of the transformation taking place in the seat right behind him. It makes him nervous enough to pull the car over. Once the car is stopped, I’m out of it, at the driver’s door in a heartbeat. I fling the door open, grab Chael by the neck and pull him out, moving too fast to give him a chance to fight back. His vampire nature flashes, then retreats. He acts like a dog showing his stomach to an alpha, submissively waiting for whatever I choose to do. I choose to shake him until his teeth rattle. What game are you playing? None. I am doing as you asked. Taking you to King Steffan. His mind is open, his thoughts as passive as his body. I shake him again. There must be more. All this talk of making history and of King Steffan’s unseating. Do you expect me to fight him? At this, a smile, thin, unnerving. No. Not you. Then who? I shove him away, stand ready to defend myself if he unleashes his beast. He tugs at the hem of his jacket, straightens his tie, smoothes his hair back with both hands. You are still too impulsive, Anna Strong, he says through gritted teeth and tight jaw. Has it ever occurred to you to ask first before you resort to violence? Not when it comes to you. Now answer the question. Who do you think is going to attack King Steffan tonight? My name is Anna Strong. I am a vampire. 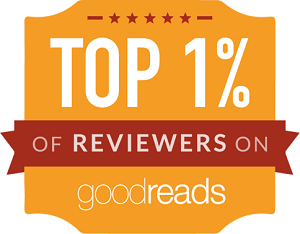 How I became one is the reason for this story. I tell it all the way it happened. It may not be what you expect. 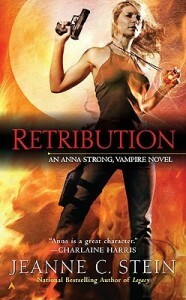 She’s a bounty hunter–tough, beautiful, and trained for the unexpected. Until the night she’s attacked and left closer to death than she can imagine. 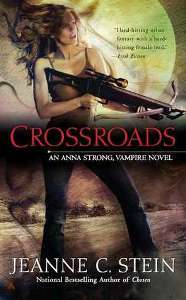 She awakens to an indoctrination into a dark new world where vampires walk among us. But this time, a tight grip on a .38 won’t stop what she’s hunting for. 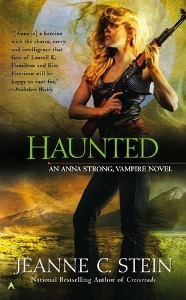 Anna Strong was a tough-as-nails bounty hunter, until the night she was attacked-and changed forever. Yay! Love Jeanne’s books! Cannot wait to read the finale later this year! I’ll look for you at RT! Should be fun! I should add–the pic above is an OLD one. I change my hair like some women change shoes. Now it’s shoulder length and light brown so don’t be surprised when you see me!! 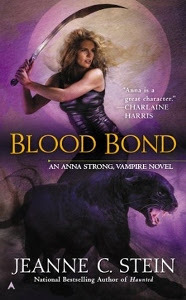 I hope Blood Bond is not the last Book. 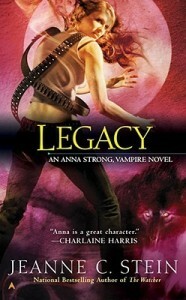 I love the Anna Strong series. NO, I don’t think it will be the last. Anna and I have been together too long to even imagine life without her! 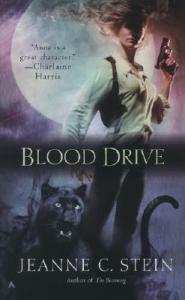 Vampires we love to hate, sounds like fun! Love your book covers, great how they all kept the same look. Thanks, Lexi. The cover art is by Cliff Nielsen and the design by Judith Lagerman. Thanks for the fun interview, I wish you all a great time at RT, and one year, I will be there. 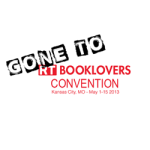 RT is a great con for readers and authors alike. I hope you can join us…and next year, it’s in New Orleans so that’s something to think about!